Anna is taking on the Rolex Fastnet 2017 whilst raising funds for Sail 4 Cancer. 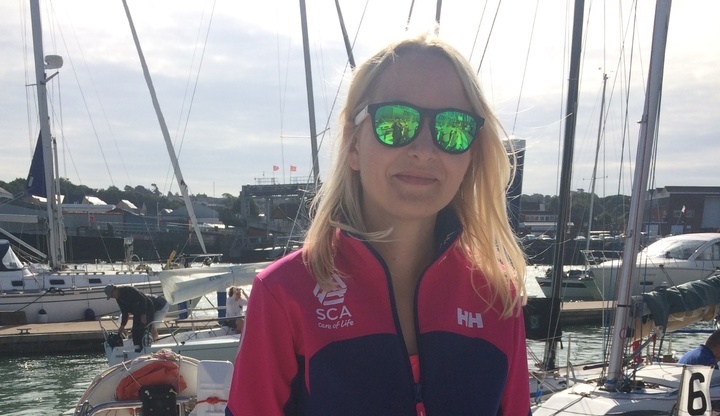 Here she explains why: "I am privileged to be part of one of the few all female crews competing in the 2017 Fastnet Race, often considered to be one of the most challenging offshore sailing races in the world. We are partway through several months of training, which has given us a taster of what a demanding experience we are taking on, but also filled us with excitement for the race! The race covers just over 600 nautical miles non-stop from Cowes on the Isle of Wight, across the Irish Sea to the Fastnet Rock off the south-west of Ireland, and back around the Scilly Isles to Plymouth. Conditions can be mixed and difficult and we are likely to take five days or so to finish the race. I am delighted to be raising money for Sail 4 Cancer, who help those with cancer and their families by offering sailing activities, and would be very grateful for anything you can donate to their very worthwhile cause!". Please support Anna and give her your words of encouragement using the form below. Amazing challenge ! Give us a wave when you cross the finish line ! Go Anna! Big hugs, the Williamsons. Go girl and have fun ! !